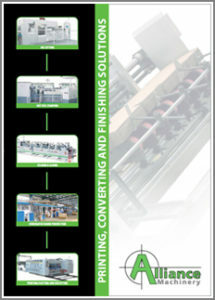 Production line for the efficient manufacturing of exercise books in high volumes. • Folio-size sheeting – paper. • Exercise books in all different sizes eg. A4, A5, A6, 17 x 22 with all possible ruling patterns. • With optional deep-pile: ruling of large sheets for semi-automatic finishing on other machines eg. for pads or wire bound stationery.